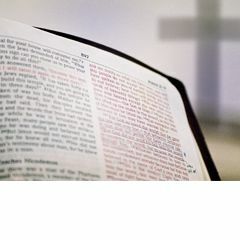 We believe that the Bible is the divinely inspired Word of God without error in its original writing and that it speaks with final authority concerning truth, morality, and proper conduct. We believe in God as spirit who is omniscient, omnipresent, and omnipotent; and that God has revealed Himself as a Trinity: God the Father, God the Son, and God the Holy Spirit. God the Father is the head of the Trinity and God has always existed in perfect unity. We believe that Jesus Christ is God the Son, one of the Persons in the Trinity; that at the right time, He was born of a virgin, lived a sinless life, performed authentic miracles, and died on the cross as the redemption from sin for all who repent and place their faith in Him as Savior; that He rose bodily from the grave, ascended into the presence of God the Father in heaven, is currently interceding for believers, and will come back to Earth again bodily. We believe the sinless life, death, and resurrection of Jesus Christ provides the only basis for salvation. We believe in the Holy Spirit, one of the Persons in the Trinity, who God sent into the world to continue the work of Jesus Christ. The Holy Spirit is present in each biblically professing believer in Jesus Christ ("believer") from the moment of salvation, and He is the assurance of God to bring the believer into the fullness of life until the final day of redemption. We believe salvation is not the result of human merit or achievement, but of divine purpose and initiative. Salvation from the penalty of sin is the free gift of God through Jesus Christ. Salvation is conditioned upon personal repentance from sin and turning toward God in faith alone as demonstrated by trust in and commitment to Jesus Christ the Lord. We believe those who have been saved cannot lose their salvation for it is an eternal gift sealed by the Holy Spirit. We believe the local church is a body of believers in Jesus Christ who have voluntarily bonded themselves together for the purpose of establishing a fellowship of believers to worship God, to participate in the ordinances that Jesus established, and to fulfill the Great Commission (Matthew 28:18 – 20) and Great Commandment (Matthew 22:36 – 40) of Jesus Christ. The ordinances of the church are believer's baptism and the Lord's Supper. We believe believer's baptism is the immersion of a believer in water as an act of obedience, symbolizing the believer's faith in the crucified, buried, and risen Savior, Jesus Christ. It is a testimony to the believer's faith and is a prerequisite for membership in The Church at Canyon Creek. We believe the Lord's Supper is a memorial to our Lord's atoning death and that it is to be taken in fellowship with other believers on a regular basis. We believe Jesus Christ will return bodily to the earth to complete our salvation and further establish His kingdom. All of the dead will experience a bodily resurrection: the believers to eternal joy with the Lord and the unbelievers to judgment and eternal punishment. We believe that ”marriage” has only one meaning and that is the meaning given by God in the Bible, which involves the uniting of one man and one woman, as determined at birth, in an exclusive covenant commitment for a lifetime. Marriage is God’s unique gift to reveal the union between Jesus Christ and His church and to provide for the husband and wife in a marriage the framework for intimate companionship, the channel of sexual expression according to biblical standards, and the means for procreation of the human race. Accordingly, we believe that it is inappropriate to engage in sexual activity that occurs outside of marriage and/or to engage in cohabitation.